I love using a cleanser targeted at my skin's needs in the night. I first go in with Micellar Water to remove my make-up, then coconut oil to remove all of it and then the Good Things Stay Clear Purifying Cleanser. I came across this cleanser while I was in Boots as it was on offer for £3! It usually retails at £5 so it is still a bargain. 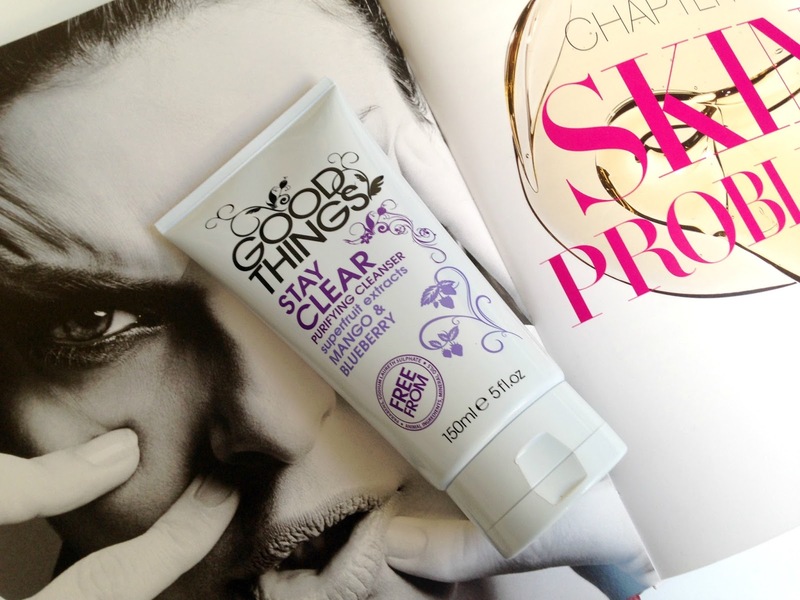 Good Things products are free-from mineral oil, parabens, sulphates and animal ingredients. There are no nasties in this product which is great. It says on the packaging that it has extracts of mango & blueberry and this gives the product an amazing smell and refreshing feel. It isn't too harsh on the eye area either. I find that it gives my skin a deep clean and gets rid of any make-up that I may still have left on my skin. It gives my pores a deep clean and it has helped soothe and clear some of my blemishes. If you're on the lookout for a new purifying cleanser definitely check out the Good Things Purifying Cleanser. Have you tried any Good Things products?